Please provide your details below to enter. R40,000 in cash cards to be won! 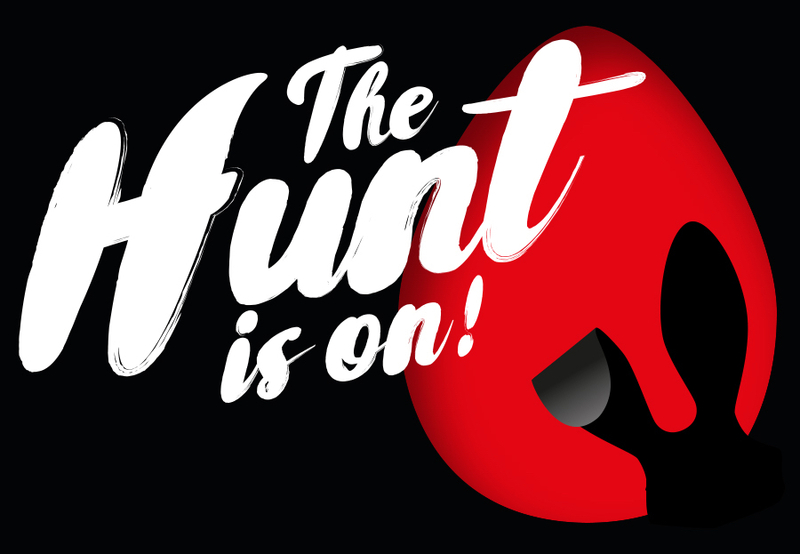 Matrix Investments (Pty) Ltd (“Vodacom 4U”) is running The Hunt is on competition (“the Competition”) where customers that counts the correct amount of eggs in the April deal brochure, stand a chance to win a share of R40 000 ( Forty thousand Rand) in cash cards. All cash card prizes will be couriered to the prize winners and will only be activated upon confirmation that the winner has received their cash card. Instructions on how to use the cash cards as well as how to check the available balance will be supplied with the cash card prize. Vodacom 4U shall not be liable for any cost outside of the cash card values as stated above. 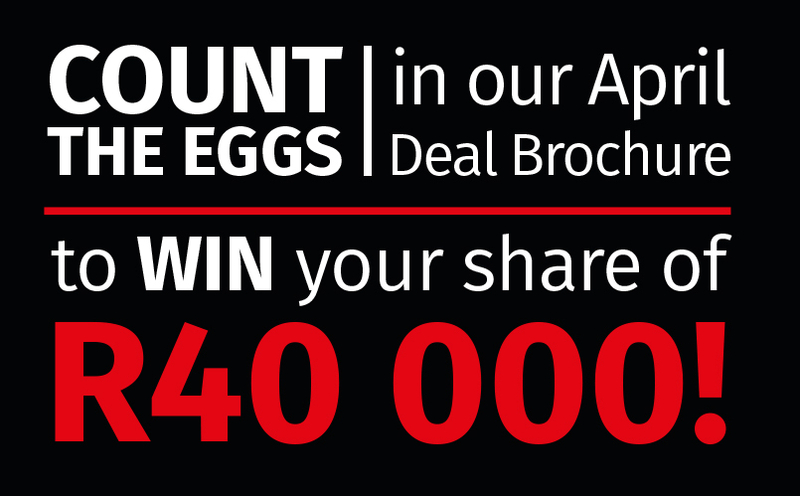 Give the correct amount of eggs counted in the April brochure. Every successfully completed entry via Vodacom 4U website will be entered the Competition. Only entries received during the Competition period as stipulated in clause 1 above will qualify as potential winners. Entrants are allowed to enter as many times as they like, but are only eligible to win once for the duration of the Competition. The selected winners must be able to identify themselves (in a manner determined by Vodacom 4U) as the qualifying entrants to the Competition and have to comply with the required validation procedure in order to claim the prizes. Entrants must please retain their till slip or contact / upgrade paperwork in order to be verified should they be selected as a winner. The selected winners must have complied with these Terms and Conditions to enter. All risks and ownership of the prize shall pass to the winner on transfer/delivery thereof and hence all Vodacom 4U obligations in regard to the Competition as well as in regard to the prize shall terminate. Vodacom 4U will advise of arrangements in respect of the prize distribution at the time of contacting the selected winner. Notwithstanding the fact the prize vests on the winner immediately upon the determination of the results, any prize that remains unclaimed / undeliverable after a month of transfer or no reasonable effort is made on the part of the winners to claim the prize despite having been advised of the results of the Competition will be forfeited. The winner will be contacted during working hours (08h00 to 17h00) by phone on or after the draw date, using the cell phone number associated with his / her entry into the Competition. Vodacom 4U will use reasonable efforts to contact the winner telephonically on the contact details used to participate in the Competition. Vodacom 4U shall attempt to contact the winner for a period of 2 (two) working days after his / her name has been drawn and verified as a winner. The claim for the prize will be subject to validation by way of checking the original till slip or contract / upgrade paperwork, failing which the winner will forfeit the prize and the prize will be awarded to the next selected qualifying entrant. The winner’s names and location may be displayed Vodacom 4U Social Media Assets as well as on screens / in-store TV within Vodacom 4U Approved sales channels. Prize vouchers are not transferable, non-refundable, non-exchangeable and cannot be redeemed for cash, or returned to Vodacom 4U stores.